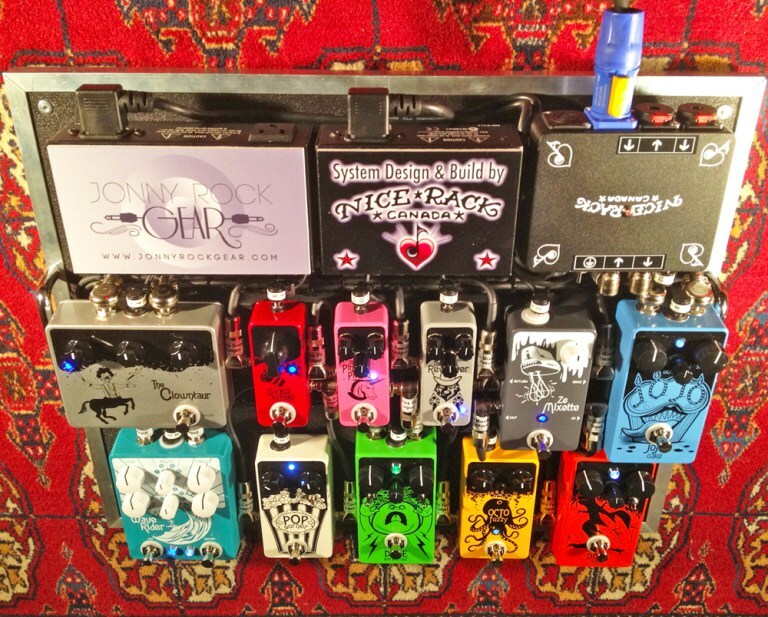 Jonny Rock Gear is super cool boutique effects pedal brand from Montreal, Quebec. Building Canadian handmade classic designs with new twists and a touch of fun. 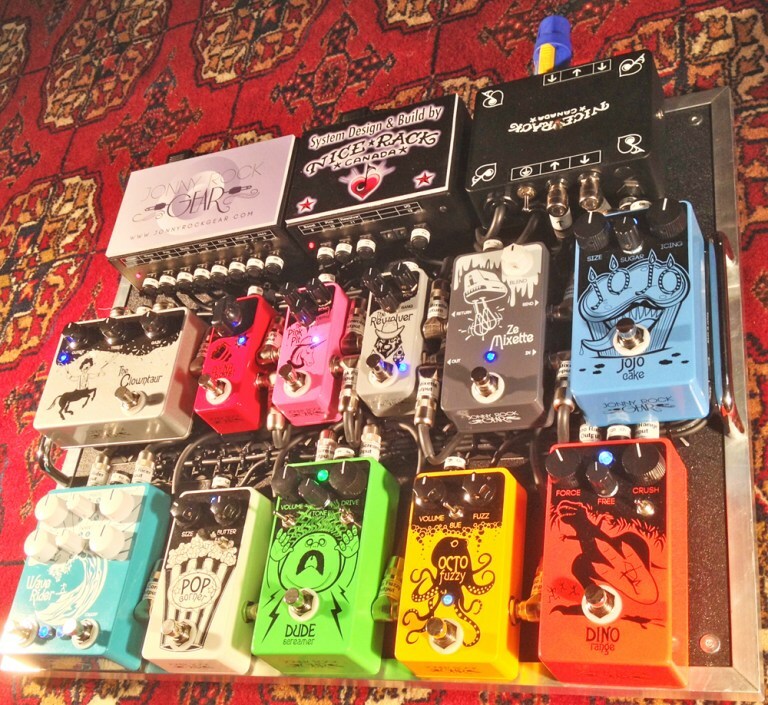 When Jonny Rock Gear owner Jean-Rene saw some Nice Rack Canada built pedalboard systems that other manufacturers were using for demonstrations, he knew it was time for a Jonny Rock Gear pedalboard by Nice Rack Canada. If you’d like to try any of the Jonny Rock Gear pedals we’ve got a set at the Nice Rack Canada showroom for your tone seeking explorations. Pop Corner – An attitude loaded OD that can clean up nicely with a pick up roll off. Ze Mixette – Parallel Blended or In Series Effects Loop Switcher. JoJo Cake – Smooth & Creamy Distortion / Fuzz. The Clowntaur – Putting the humour & savings into transparent underdrives. The Pink Pit – Slapback Echo with Surf Reverb Tone. Dyna Boost – Transparent “Almost Clean” Boost with a Low-Mid cut circuit. 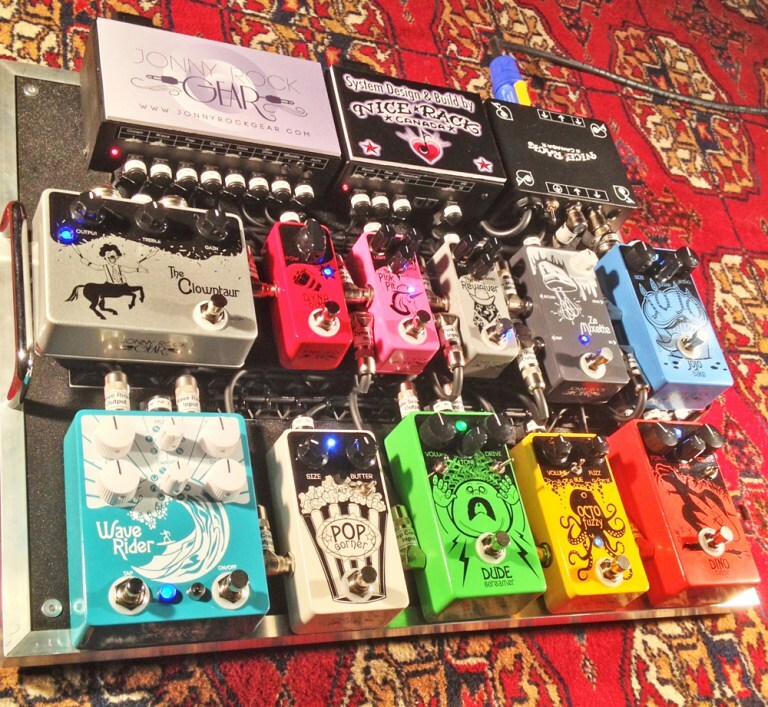 Wave Rider – Optical Tremolo with Tap Tempo control, Six different wave forms & tap divisions. The Rewolver – JFET Driver with Cascaded Gain Stages & Master Volume, from Sweet Saturation to 100% Clean Boost.